Organizing your personal finances is the first step toward solid budgeting and savings habits. Fortunately, there are plenty of free apps that can help keep your finances and bills organized, right from your smartphone, tablet, or computer. With the right app, you can keep track of where your money is going, maintain a steady budget every month, and make sure your bills are paid on time. Best of all, these apps are free, so it will cost you nothing to get your financial life on track. Personal Capital can give you a complete view of your assets, liabilities, and investment holdings. In fact, Macworld named this the best free finance tracking app available. Similar to Mint, this award-winning finance app can help you track your spending, create budgets, and also includes your investments. You can even pair with an adviser to create a personalized portfolio plan through the app. Personal Capital is ideal for anyone who currently invests, wants to invest more, or wants to include retirement planning. It takes less than a minute to sign up and can help you get control of your finances for good..
Goodbudget (formerly EEBA, the Easy Envelope Budget Aid) is frequently recommended online because it makes it easier than ever to actually stick to a budget. The app can help you create a budget, save for expenses, and make sure you're meeting your goals. There are also charts available to help you visualize your spending. The cloud sync-enabled app allows you to share your budgets with other people in your household so that everyone is on the same page. Your transactions will also be instantly synced thanks to the cloud. What better way to track your spending and budget than with a Spending Tracker? The app is user-friendly and easy to set up. You can easily record expenses and income, pull reports on spending, view interactive bar and pie charts, and more. You can also set a fixed budget amount make sure you are remaining under budget every month. 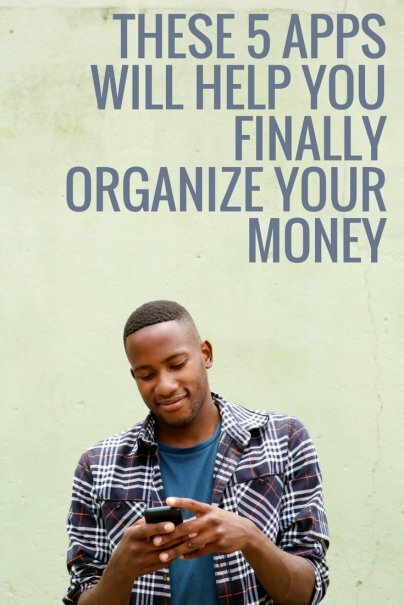 What are your favorite apps and online tools to help organize your personal finances? Please share your thoughts in the comments! Mint and Personal Capital are definitely great apps to get organized and stay on budget. It all comes down to personal preferences and what you are already used to use. I might even want to check out the three last options as well. I use YNAB (YouNeedABudget), and it has been a godsend for me. I completely recommend it for budgeting. Ynab (you need a budget) is a great software and I'm surprised it's not listed. I like using Every Dollar - its recommended by Dave Ramsey the finance guy! Its also free to use but you can always upgrade to a plus account with extra features.